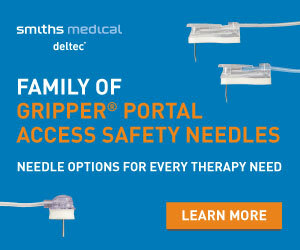 Much of the published literature related to smart infusion pumps and safety alerts is focused on continuous medication infusions, with little available information related to their use with intermittent infusions” Bloomquist and Seiberlich (2015). Historically, smart infusion pumps with dose error reduction software were implemented to improve safety associated with programming of continuous infusion modes on large-volume infusion pumps. 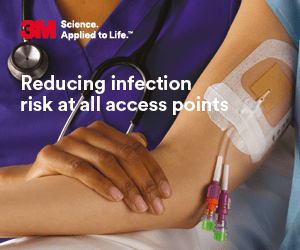 Much of the published literature related to smart infusion pumps and safety alerts is focused on continuous medication infusions, with little available information related to their use with intermittent infusions. As a result of the focus on continuous infusions, an impression exists that intermittent infusions are less prone to programming errors and/or do not require comparably rigorous safety parameters, such as use of weightbased medication programming. METHODS: A retrospective study was conducted with data from 10 pediatric inpatient hospitals, all of which used syringe infusion pumps for intermittent medications, to describe the impact of weight-based safety parameters on the occurrence of potential programming errors. The data were analyzed based on recorded safety alerts and alert triggers for weight-based (dose/kilogram/time) and non-weight-based (volume-over-time ) intermittent infusions. RESULTS: Data from a total of 4,162 pumps, 943,448 total infusions, and 810,359 intermittent infusions between January 1 and December 31, 2013, were reviewed. Weight-based infusions had a greater percentage of safety alerts (83.3%) compared with VOT infusions (16.7%). CONCLUSION: Weight-based intermittent infusion modes can prevent programming errors and, compared with non-weight-based intermittent infusion modes, can be used to improve safety in the pediatric population. Additional research should be conducted to confirm a decrease in adverse drug events resulting from implementation of weight-based safety parameters. Bloomquist, A. and Seiberlich, L. (2015) Reducing Intermittent Infusion Syringe Pump Errors via Weight-Based Safety Parameters. Biomedical Instrumentation & Technolog. 49(Suppl 4), p.31-6.